Henry Thoreau wrote: “There are a thousand hacking at the branches of evil to one who is striking at the root.” So it goes with efforts to decrease health care costs by attacking the frivolous malpractice lawsuit straw man. Attacking frivolous malpractice lawsuits is a brilliant way to frame the argument. If you poll the American people, they are universally opposed to frivolous malpractice lawsuits. So am I. The other avenue is to attack trial lawyers and, in particular, medical malpractice lawyers. The effort to do this is obvious and pathetic. Really? You are speaking to Congress. This is a big deal and making every word counts. Yet you take the time to pass this along to Congress? How much money is spent on legal advertising is important to this conversation? A question of at least equal importance is: how much has Dr. Weinstein made over the last 5 years? I’ll bet you the answer is in the millions. How Many Frivolous Lawsuits Are There? Let’s stay on the subject: how many frivolous lawsuits are being filed? More important to the way the argument is being framed to vilify victims’ lawyers, maybe the better question is how many frivolous lawsuits were filed by attorneys experienced in handling malpractice cases. Has anyone ever done this study? There are opinions and there are facts. The facts are that malpractice lawyers run a business. 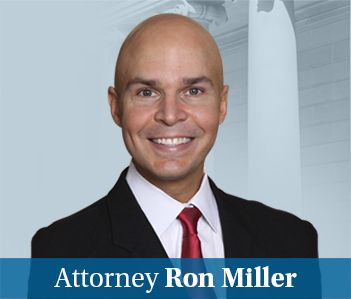 To stay in business, you cannot file frivolous malpractice cases. The economic reality of being a plaintiffs’ lawyer is that you cannot afford to file a medical negligence lawsuit unless you are going to obtain a recovery in the vast majority of the cases. In spite of all of the chatter, anyone who tries malpractice cases knows that the tie goes to the runner: juries are going to err on the side of doctors. To stay in business as a malpractice lawyer, you really have to take meritorious cases or you just won’t survive. The trial bars’ own track record speaks to the dubious legitimacy of the majority of their litigation. 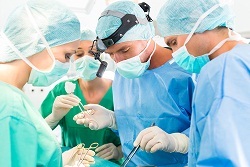 In 2009, 64 percent of all medical liability cases were withdrawn, dropped or dismissed as being without merit, according to the Physician Insurers’ Association of America. Less than one percent (0.8 percent) resulted in a verdict favoring the plaintiff, yet these cases continue to be filed as personal injury lawyers play roulette with America’s doctors, hospitals and patients. If these were really the statistics on malpractice lawsuits filed by experienced attorneys, all would be sitting in bankruptcy court right now. No malpractice lawyer could survive if these statistics applied to them. The primary purpose of the Health Care Malpractice Claims Statute is to limit the filing of frivolous malpractice claims. Defense lawyers have made it their passion to find hyper-technical paths to use this statute to also weed out meritorious lawsuits. This statute requires plaintiffs to produce an expert report and certificate before filing suit. Does this prevent SOME frivolous lawsuits in Maryland? I’m sure it has. Have a lot of meritorious lawsuits been kicked out because of some malpractice lawyer (or someone parading around as a malpractice attorney) screwed up some technical detail? Yes. Is that a fair trade to eliminate a small number of claims that should never have been filed? I would argue no. But that ship has sailed in Maryland and I have no interest in fighting that fight. The best way to decrease frivolous suits would be to require all claims to be filed by an experienced healthcare negligence attorney. Sure, such a law would shamelessly trample on all of our constitutional rights. But so would every other plan to involve the federal government in state malpractice laws.